A significant gap currently exists between the scientific evidence for the best practice management of people with musculoskeletal pain and current practice. Our “Pain Management in Practice” workshops, run twice-yearly in Melbourne, Sydney and Brisbane provide training aiming to overcome that gap. 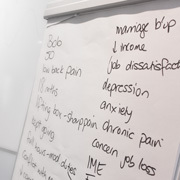 We specialise in providing practical training to Clinicians and Return to Work professionals managing people in pain to prevent the onset of persistent disability or to manage persistent pain and disability to maximise work and personal function. 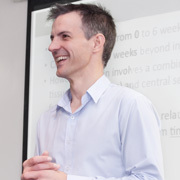 We have delivered workshop based training since 2006 to a range of health professionals including Physiotherapists, Psychologists, Occupational Rehabilitation Providers, Nurses, Occupational Therapists, Osteopaths, Injury Management Advisors, and Return to Work coordinators amongst many other professions. Interested in finding out more? Hit this link to send an email to the Workshops team and receive news about upcoming workshops. 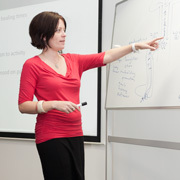 We also provide in-house training with a tailored professional focus on a regular basis. Please contact us on 03 9459 3344 or e-mail an enquiry if your organisation has particular training requirements. We can personally discuss with you the best options to meet your needs.